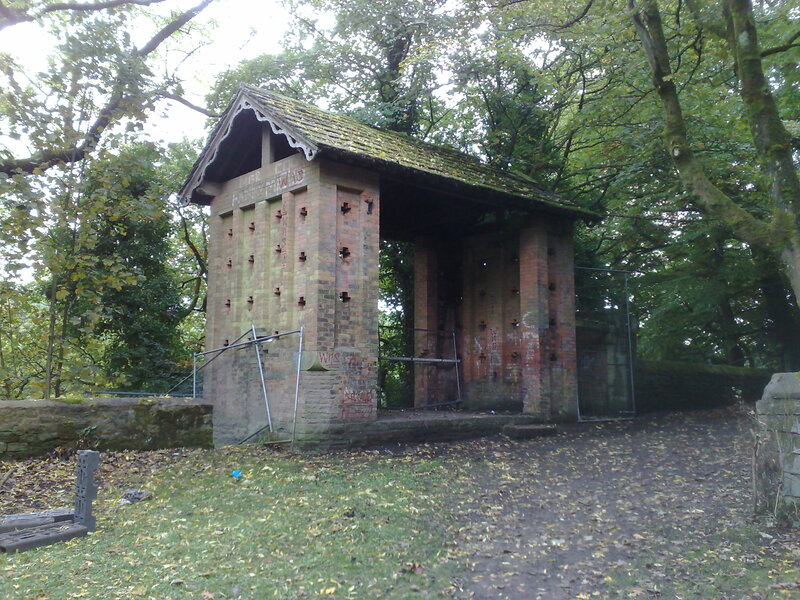 Started at the old Dove Cote in Cheetham Park. 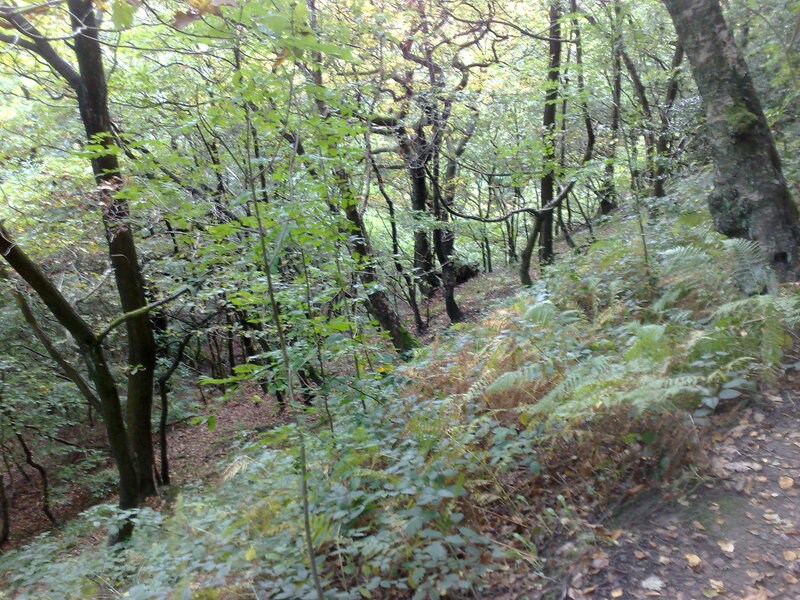 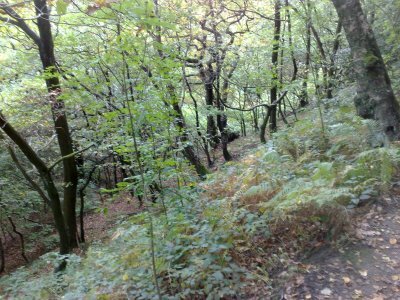 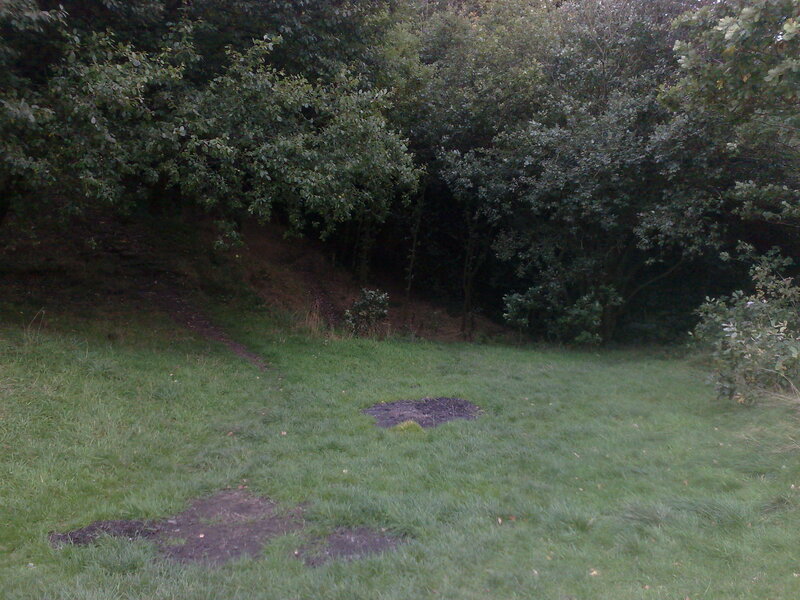 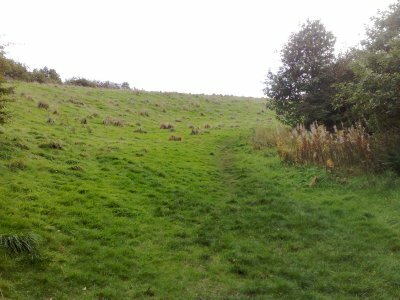 The path south towards the fields runs along "The Cliff" with Acres Brook at the bottom of the slope. 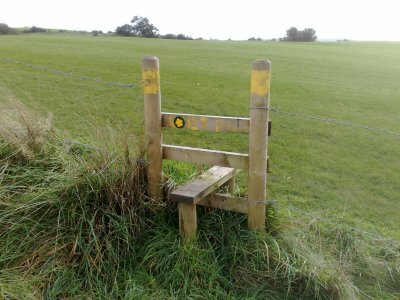 The path comes out in a hollow. 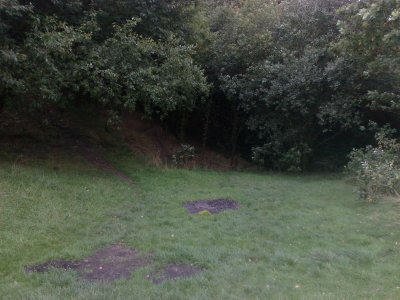 Still in the hollow, looking back north. 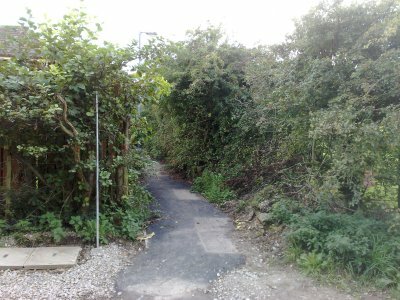 The path back to Cheetham Park runs up to the left. 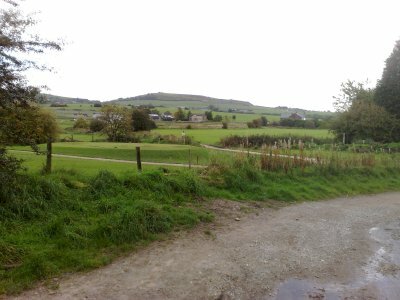 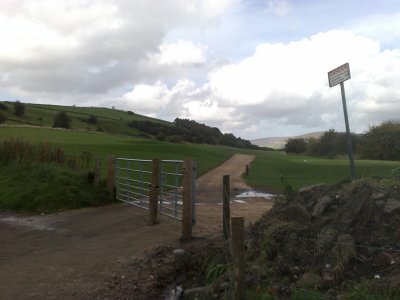 The path towards Bower Fold and Mottram Road runs away to the right. 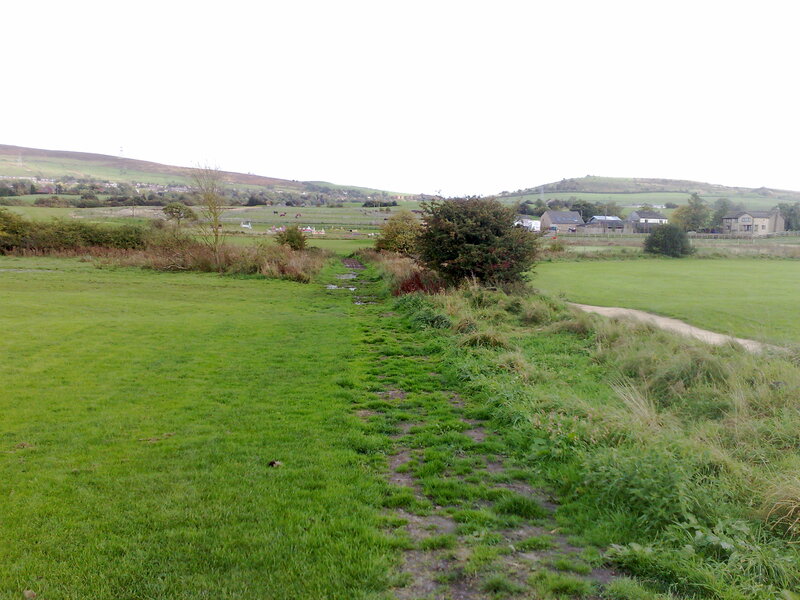 One of the stiles leading from the hollow onto the land now occupied by the golf course. 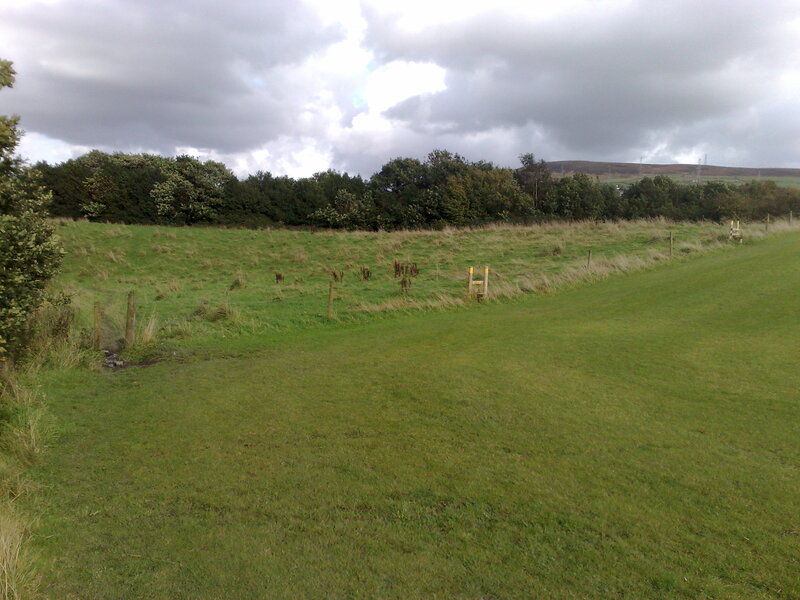 Looking back towards the hollow from the golf course, there are actually three stiles; not sure why. 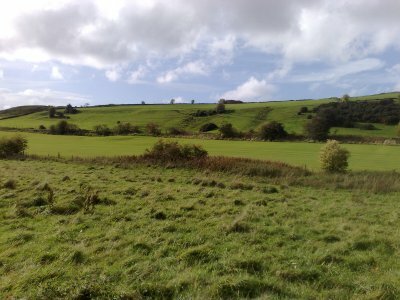 Looking up west from Field 3 towards Hough Hill. 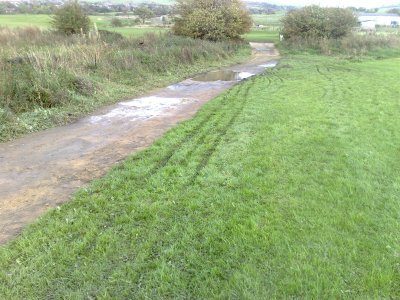 Regular users of Early Bank Road will know that a stream runs down off the hill here making part of Early Bank Road very muddy, a reason why most people cut through the fields to reach the pub. 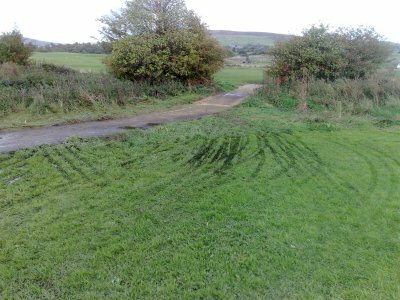 Evidence of a well-worn track leading away from the footpath over Field 3. 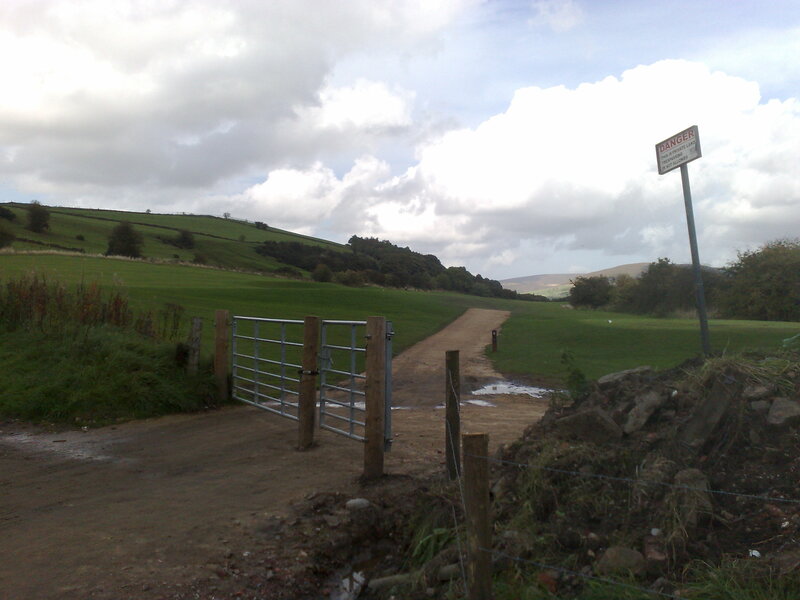 Dukinfield Golf Club assert that most users of the fields stay to the footpaths which is clearly not true. 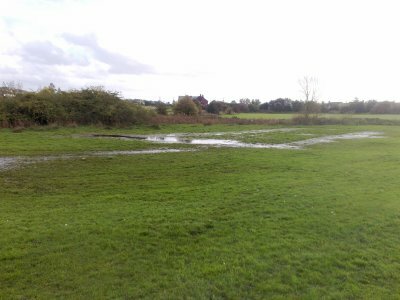 Usual flooding in Field 2, another reason not to stick to the footpath! 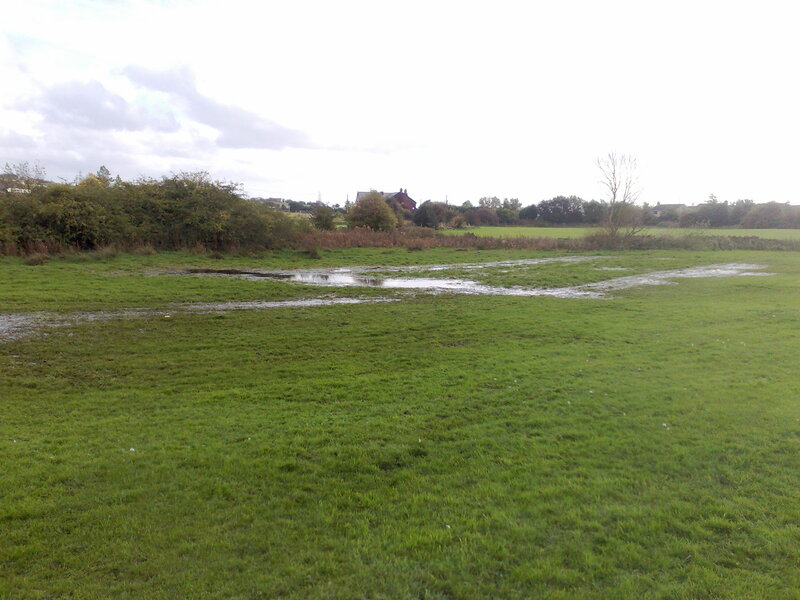 Flooding of Field 2 not helped by the golf club's aborted attempt to construct a path. Plenty of flooding of their new path in Field 1 too. 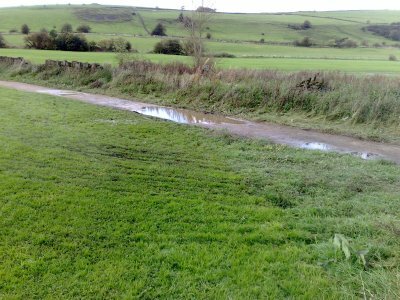 Dukinfield Golf Club asserted that they needed to construct a path in order for their members to cross the fields in wet weather. Ironically the track marks in these pictures show that their new path is fairly useless in wet weather, and members appear to need to use the fields in order to avoid the path. Gate from Early Bank Road onto the golf course and the path across Field 1. In the centre of the picture, a lady I saw earlier is walking her dog over the golf course presumably to avoid the muddy part of Early Bank Road. 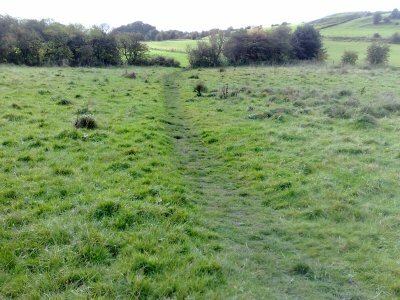 Keeping up my 100% record of never not seeing anyone else using the fields, a lady walking her dog has just used the golf club's new path to gain access to Field 1 from Early Bank Road.